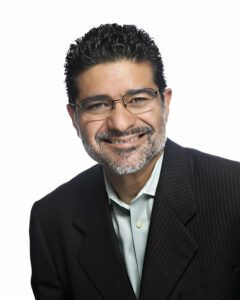 Guillermo is a leadership acceleration expert, speaker, author and executive coach. He is passionate about sharing the tools and experiences that he has helping executive leaders and their teams by creating consciousness, developing leadership and getting results. Guillermo is dedicated to empowering leaders to do what it takes to grow a successful organization developing talent in people. His authentic style and insight engages people to become leaders and to make the necessary changes to create transformations in their organizations and lives. His career in Microsoft started in sales and he expanded operations opening subsidiaries in Costa Rica, Guatemala and Panama before being named General Manager for the Caribbean and Central America region. Guillermo has taken this one and many lifetime experiences and combined it with neuroscience and emotional intelligence concepts to craft stories, strategies and life lessons that will engage, inspire, inform and influence your success. He is fluent in English, Spanish and Portuguese. In this presentation Guillermo will share 10 years of multi cultural experience with executive coaching in organizations and how to create the right practices for effective Executive Coaching process. The focus of his work is to create awareness on how to accelerate leadership turning managers into leaders in organizations. One of the most valuable tool that he has found and uses, is emotional intelligence. By working with managers to develop emotional skills like empathy, assertiveness, flexibility and interpersonal relationships coaching can accelerate leadership to reduce the leadership gap. Learn how to manage your Executive Coaching processes for maximum effectiveness and how to comply with the expectations of all parties (Human Resources, Manager, client) during your process. Strategic thinking and leadership for long term planning achieving international expansion to US and Spain market, and creating new business units opening areas of opportunity for SeguriData and Grupo Multimedia. Development and management of marketing campaigns for the IT Industry at Microsoft, BSA Business Software Alliance, SeguriData. Public Relations and corporate spoke person for the “Zero Tolerance” anti-piracy campaign in Microsoft Mexico, as General Manager for Microsoft Caribbean & Central America and in Grupo Multimedia. Managed geographically dispersed teams as General Manager for Microsoft Caribbean & Central America managing 4 subsidiaries and a central office in Fort Lauderdale, FL. Leader in International Business Development opening new Microsoft subsidiaries in Costa Rica, Panama and Guatemala. Coached Top Level Talent at BBVA Compass Bank, Repsol and ExxonMobil in the Houston area. Coached emerging leaders and high potentials for Autoliv in China, Italy, Mexico and USA. USA representative for the International Coaching Community working as Coach Trainer to develop new certified International Executive Coaches. Coached National Account Directors at Design Bureau to integrate leadership and improve team productivity and communications with clients Kimberly-Clark, Coca Cola, Colgate-Palmolive. Coached CEO and 6 director executives at Grupo RC Mexico to increase board integration and prepare executives for succesion plans. Coached CFO at Grupo Motomex to improve profitability by increasing financial team follow up on collections, purchasing and financial planning. 2015 ICC Coaching Congress, Moscow, Russia. 2014 ICC Coaching Congress, Santo Domingo, Dominican Republic. 2012 Panama Coaching Congress, Panama Coaching Association. 2011 ICC Coaching Congress, Bogota, Colombia.